﻿Shanti Ananda is the quintessential colourful Mullumbimbian. 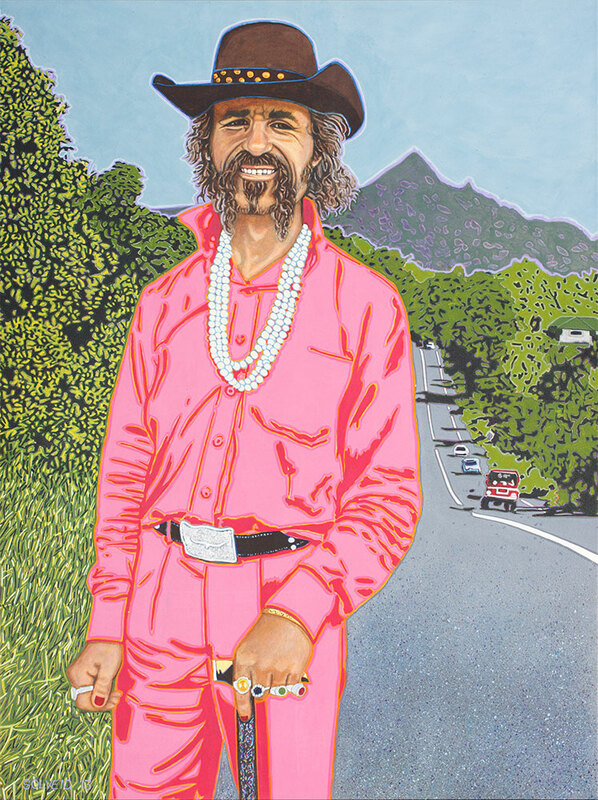 Everyday, we – the community – are treated to a brightly-coloured, impeccably-groomed and decorated man hitch-hiking our roads and spreading his unique style of inspiration and wisdom. For most of us, giving Shanti a ride is an uplifting and motivational experience. He is not limited by the conservative range of colours acceptable to mainstream society for a man to wear.